We offer you LED panels of each size. They are both resistant to harsh weather conditions and extremely efficient. We guarantee high durability and efficiency of LED panels. They are always supplied with the user-friendly text and image transferring devices, as well as the additional mounting items for the proper suspension or setting. 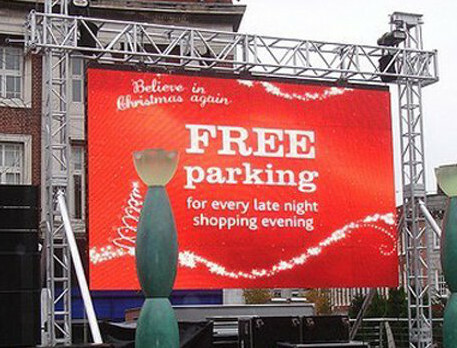 The LED screens and panels offered here can be used for numerous advertising needs. They are suitable for both school, factory and industry, supermarket, financial, retail and reseller facilities, etc. They are a perfect way of providing people with an instant and up-to-date information and notifications about various forthcoming events.